Martin Skrtel is a Slovakian national born on 15th December 1984, he is currently the captain of the Slovakian national team and has been named Slovakian player of the year four times. He joined Liverpool from Zenit Saint Petersburg in January 2008 when manager Rafa Bentley paid £6.5 million for his services. Skrtel made his debut against non league Havent & Waterlooville in the FA Cup and looked very nervous, he gave away a corner that saw Liverpool fall a goal behind and also in a mix up and scramble that saw them concede a second goal, Liverpool did go on and win the game but many supporters were left unsure about their new centre half, but a string of solid league performances including being voted man of the match against Chelsea and Everton soon put minds at rest. 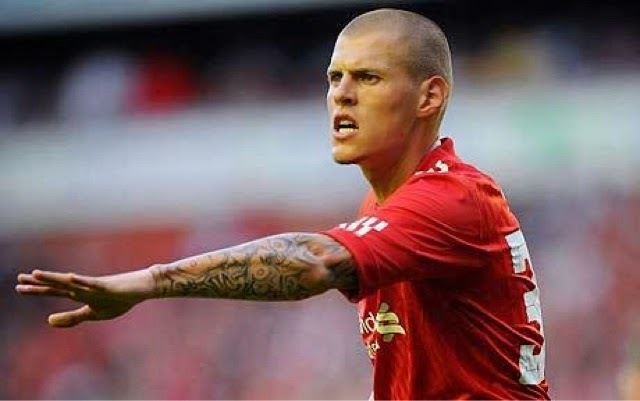 Apart from injuries Skrtel has been a regular starter for Liverpool ever since and on 10th April 2012 he captained Liverpool for the first time leading the team to a 3-2 victory over Blackburn Rovers. Skrtel has proved his ability to several managers and has always been picked as a regular starter, solid strong and aggressive he remains an important part of the Liverpool defence. Skrtel has developed himself into a real goal scoring threat especially from set plays where his movement and power in the air can cause any team problems. Several times during his time with the club he has been linked with moves away from Liverpool, often to top European Clubs but has never left, either through choice or through managers refusing to let him go. He is now one of the clubs longest serving players and is as such is highly respected. Recently Skrtel along with the rest of the Liverpool defence have come in for criticism following a string of poor performances causing the team to concede a high number of goals but in general this is down to formations and an attacking style leaving defenders exposed and under pressure rather than poor performances from defenders. Skrtel is the managers preferred option on the right side of defence and he obviously believes that his experience and ability can once again see Liverpool through.